Saltbox Storage is a new and convenient way to store your items. We are a full service storage company that comes to you. No more losing your keys and cutting locks. No more Saturdays wasted overloading your car in the rain only to forget your gate password. We pick up, store and return your items on demand. We return your individual items or your whole unit within 48 hours of your request. At your request, we will send a moving team to pick up your items and bring them to our warehouse for storage. Then when you need something, our moving team delivers to your requested location. You also have the ability to request particular items only (like golf clubs, holiday decorations or bicycles). Everything gets picked up and dropped off by our professional movers. All this is done for one simple monthly fee. All plans include free pick up, with larger plans including free return. We complete all requests within 24 - 48 hours. 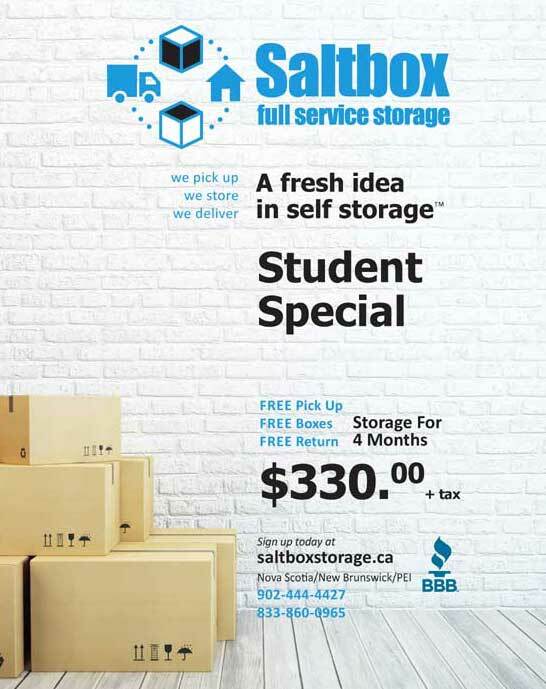 WHY CHOOSE SALTBOX FULL SERVICE STORAGE? More cost effective than conventional storage. With an up front cost from Saltbox, you are able to budget. You only pay for the space that you need. Our relaxed storage system is designed with ease in mind, all you have to do is pick a date and we take it from there. We supply moving materials, arrange professional movers, store your belongings and offer fast returns. Our inventory system is particularly convenient for managing your off-site items. Saltbox operates with many years of experience in the moving and storage industry. White glove service is our specialty. Our team possesses the knowledge and experience to handle your belongings. We offer next day returns on all or just a single item. We send two movers to pick up your items so you never have to lift a finger. The Saltbox warehouse is heated in the winter and air conditioned in the summer. Your items will always be at the perfect temperature. We have our own CCTV system with multiple cameras at the Saltbox warehouse. Only Saltbox employees are allowed to enter our warehouse for everyone's peace of mind. We have a number of ways to sign up for Saltbox for everyone's convenience. Sign up online, by phone or by using our mobile friendly website. We offer great discounts with our refer a friend program. Ask us about the savings when you sign up. We now service Nova Scotia, New Brunswick and PEI!